The 145th Airlift Wing stood up on March 15, 1948, just six months after the Air Force established its own separate service on Sept. 18, 1947. Starting its journey with the P-47 Thunderbolt, the Wing has undergone several transitions in mission and aircraft. The most recent change being the transition to the C-17 Globemaster III aircraft in April, but what remains the same, is the dedication and commitment of its members. 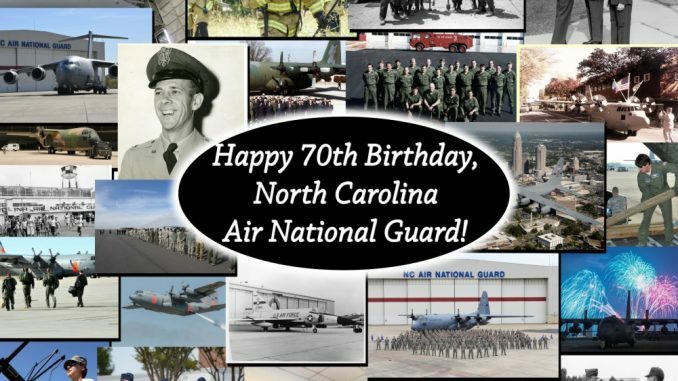 The North Carolina Air National Guard has come a long way since its establishment 68 years ago. 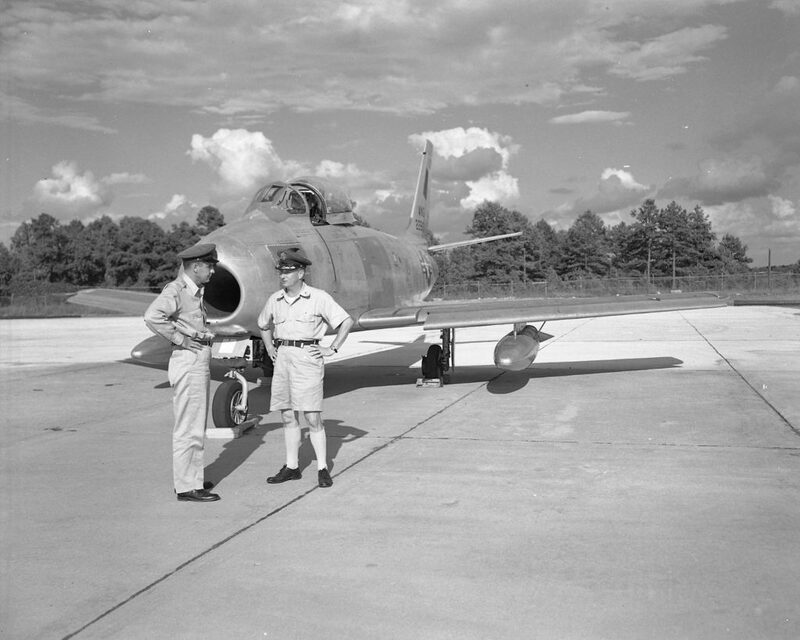 Then, Lt. Col. William J. Payne, who ran a furniture store in downtown Charlotte, was asked to start the unit, which became the 156th Fighter Squadron, the oldest unit of the North Carolina Air National Guard. 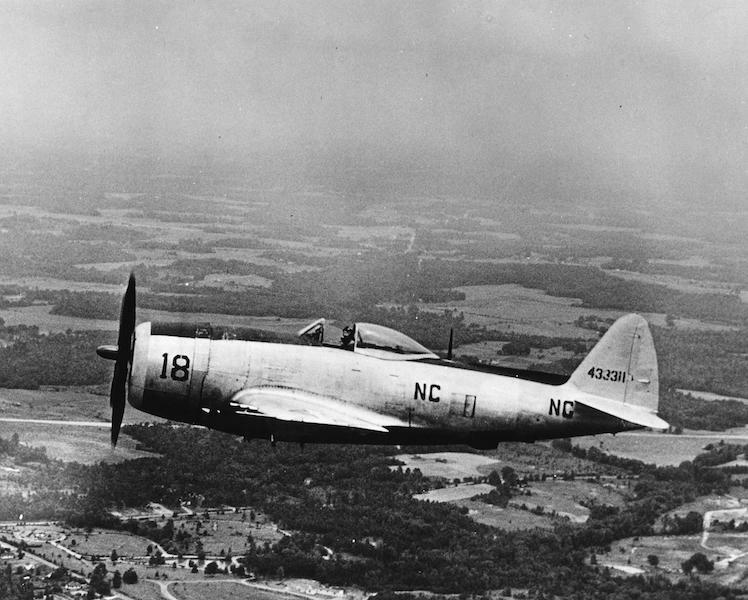 The unit, which was equipped with P-47D Thunderbolt aircraft, was federally recognized March 15, 1948 and activated at Morris Field. Its mission was the air defense of the state. Retired Chief Master Sgt. Terry Henderson recalls a conversation he once had with Brig. Gen. Payne while driving him to Raleigh, N.C. “I was driving the general up to Raleigh when he started reminiscing about how the unit got its start. He said that back in 1948, he received a call saying that the Air Force had a group of P-47Ds in route to the base here in Charlotte. The general (then a lieutenant colonel) said he told them to turn them around; he didn’t have a jack or wrench to change a tire or the basic equipment to maintain the aircraft. They told him it was too late, the aircraft were in the air and would be there soon, and to just figure it out,” Henderson recalled. For the next several years the facilities at Morris Field expanded and subordinate units formed adding to the ever changing flying mission. Those units would eventually include 145th Aeromedical Transport Group (ATG), which flew evacuation missions. From 1966 to 1971 the 145th ATG found themselves deployed to Vietnam, flying over 20 million km without an aircraft accident. Today, over 1500 Airmen support the NCANG’s mission by providing tactical airlift to the United States Military and delivering supplies anywhere in the world as needed. “This a huge milestone, and the Air Force just celebrated its 70th Anniversary. What this tells you is the 145th has been in the fight since nearly day one of the Air Force,” said Col. Alan Cecil, vice commander of the 145th Airlift Wing. Change has evolved the unit, which makes it continually valid in the overall mission of North Carolina and the Air Force. “Whether it’s been standing up new missions, changing aircraft, or creating new units, we have always really stepped up and done an outstanding job. We break down the change that has to take place and embrace it,” said retired Chief Master Sgt. Terry Henderson, 145th Force Support Squadron Airmen and Family Readiness program manager. Airmen of the 145th Airlift Wing not only have a strong camaraderie, they also live for the mission taking part in disaster relieve efforts and supporting overseas deployments. “We are known for getting the job done in locations we have been assigned and places we are currently deployed. Our Airmen want to be a part of what’s happening in world and serve by being part of the solution. They have the drive and dedication to make that happen. We have the heart for service,” said Col. Alan Cecil, vice commander of the 145th Airlift Wing. 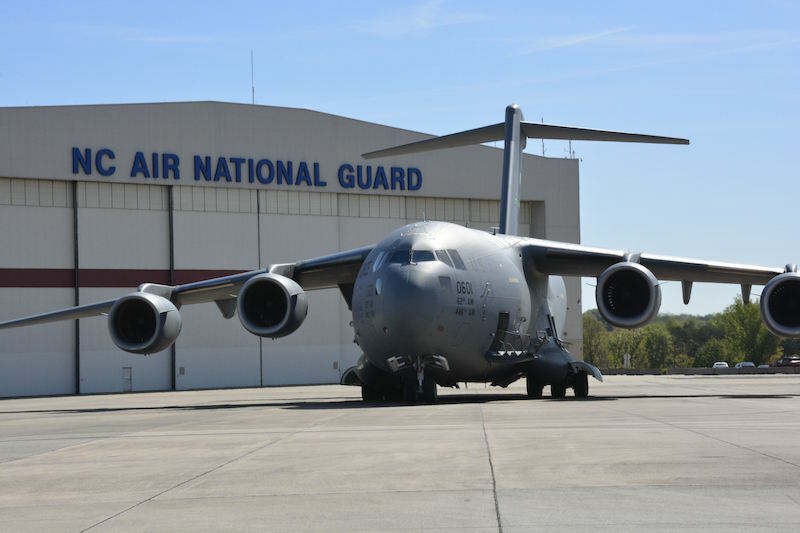 Image of a C-17 Globemaster III Aircraft on the flightline of the North Carolina Air National Guard Base in Charlotte N.C. The transition to the C-17 Globemaster II aircraft brings the 145th Airlift Wing into the future by providing greater flexibility, performance, and the capability for rapid strategic delivery of troops and all types of cargo to fulfill the worldwide air mobility requirements. “I’m thrilled to be a part of the transition and this unit. As a leader, I hope I can set up as much success for the unit as our forefathers did so we can have another 70 years of success,” said Cecil.